I can almost hear the crickets chirping. 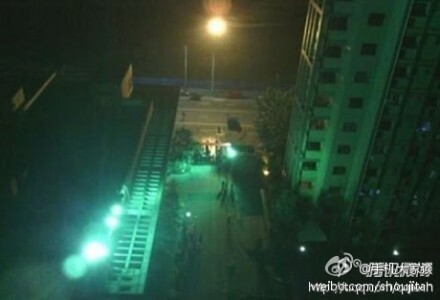 …but it turns out that picture actually came from an explosion that happened at Foxconn’s Chengdu plant over a year ago. 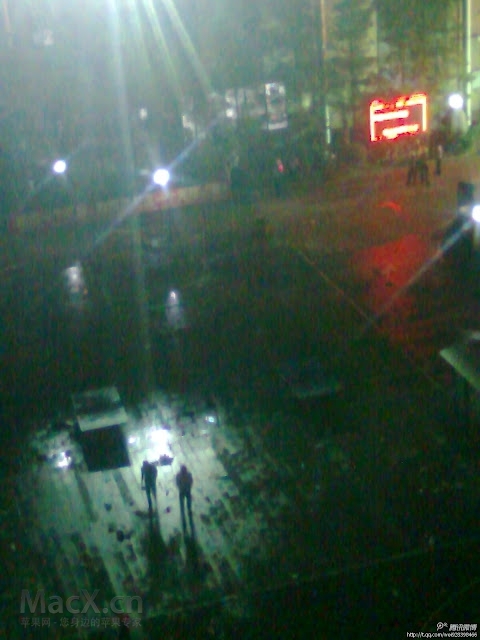 It’s now been three days since this supposed riot started and this is all we have. No other pictures, no videos, no interviews from rioters. That’s pretty amazing considering “Foxconn riot” is NOT blocked on Weibo and there were allegedly 1,000 people involved. We were informed by local law enforcement authorities that late Monday night, several employees of our facility in Chengdu had a disagreement with the owner of a restaurant located in that city. We were also informed that the employees subsequently returned to their off-campus residence, owned and managed by third-party companies, at which time a number of other residents also became involved in the disagreement and local police were called to the scene to restore order. Foxconn is cooperating with local law enforcement authorities on their investigation into this incident. They didn’t list any numbers, but this seems a far cry from what’s been previously reported. It’s too early to say definitively that the original Want China Times report (and all those that based their reports entirely on it) were completely wrong, but I think it is safe to say they jumped the gun. Some outlets even tied the alleged violence to poor working conditions, which is completely unsubstantiated. Huffington Post went so far as to title one piece “Foxconn Workers Riot In Chengdu Over Minor Incident, Leads To Massive Uprising” and listed several unrelated conditions at the factory (They’ve since printed a retraction). 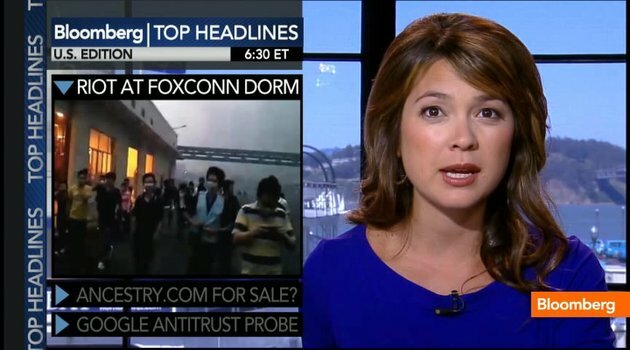 Foxconn has been the whipping boy of the media for quite some time now. In 2010 some outlets were ticking off suicides as they happened at the company. The estimated 14 suicides that year do indeed sound bad…until you consider there are over 800,000 employees and that that suicide rate is well below China’s national average (and the US’s for that matter). Both the suicide and rioting over poor working conditions angles fit nicely into the pre-established narrative that Foxconn and its Apple overlord run a repressive sweatshop. Unfortunately for those outlets that perpetuate these angles, there’s just not much evidence to support them. Seven workers at a Foxconn factory in Chengdu went to a restaurant near their dormitory, but began making a ruckus after an argument between the eatery’s owner and his wife “affected their meal”, said a statement on the Sichuan government website (www.scol.com.cn) released on Thursday. After the restaurant owner called the police, the workers ran back to their dormitory shouting “they are beating us”, upon which around 100 of their colleagues came in and joined the disturbance, throwing bottles, the statement added. Luxury items bring the staple need of functionality and practicality. It’s very advisable to consider the above factors when trying to get valuable watches because they are worthwhile gem to get while still keeping time for your owners. Some examples of established brands and products in the Quest – Net stable are the JR Mayer Collections, QVI Club travel packages, Swiss-made Bernhard H.
May I simply just say what a relief to find somebody that actually understands what they are discussing on the internet.